Looks like there's a Clu and Quorra costume in the game in addition to the Sam Flynn one we've seen previously! Anyways, this game just came out today. Looks like an interesting 4 player platformer/beat-em-up where you have powers unique to whatever costume you choose. There's a character in a Tron suit in that trailer and a Sam Flynn suit, but I see no evidence of a Quorra or a Clu suit. ShadowSpark Wrote:There's a character in a Tron suit in that trailer and a Sam Flynn suit, but I see no evidence of a Quorra or a Clu suit. Check the article I linked in my post. It's got large images of the Quorra and Clu suits. Oh, now I see. I thought you meant it was in the video. Well, that's cool. I saw the guide at Best Buy today. Snapped a few pics. Clu and Quorra suits are confirmed . . . I may actually get this. I also like how you can get a classic disc at level 4 for Tron. There is no Tron level according to the book. The second picture (from the inside back cover) however shows a location that looks alot like The Grid. Concept art maybe? 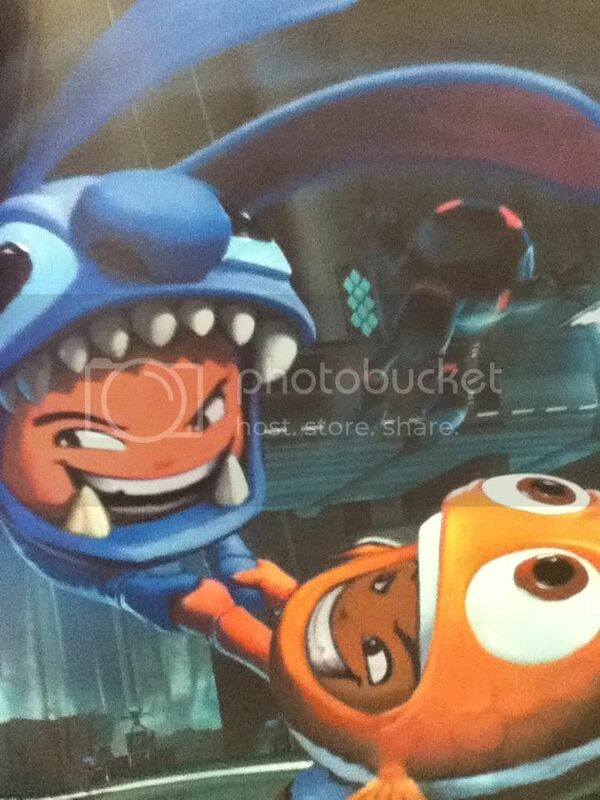 the little black and red guy is a regular enemy, yet he looks alot like Rinzler or something. What are the icons next to them? trekking95 Wrote:What are the icons next to them? Found a strategy guide for this the other day. 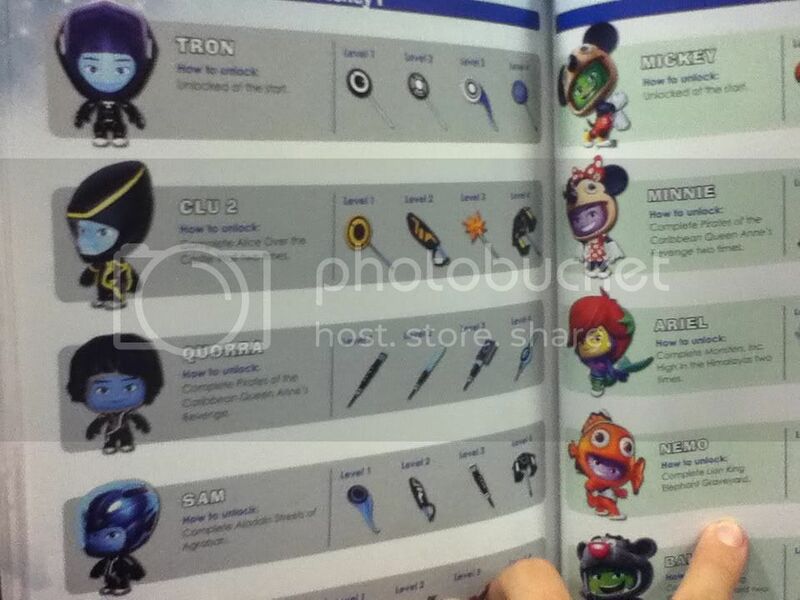 Looking through it, it looks like Tron, Sam, Quorra, and Clu suits are all included on the game disc. All of them have discs-on-a-stick, but there are also Jules Verne books, lightcycles, and recognizers.